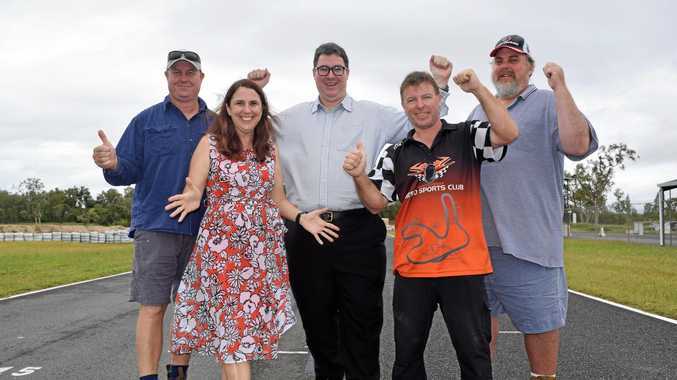 ORGANISERS of a heavy metal gig in Maryborough say they will tone down the content of their promotional posters in the future after an anti-religious graphic left a visiting scout traumatised. The A3-sized posters featuring an image of the devil ramming a spear down the throat of a cleric are posted at various locations in the central business district to promote last month's Metal Monolith at the Tattersalls Hotel. According to 2013 Australian Scout Jamboree chaplain Greg Kearney, the "devoutly Catholic" scout was so confronted by the image during a visit to town on Monday that he required counselling when he returned to the jamboree. 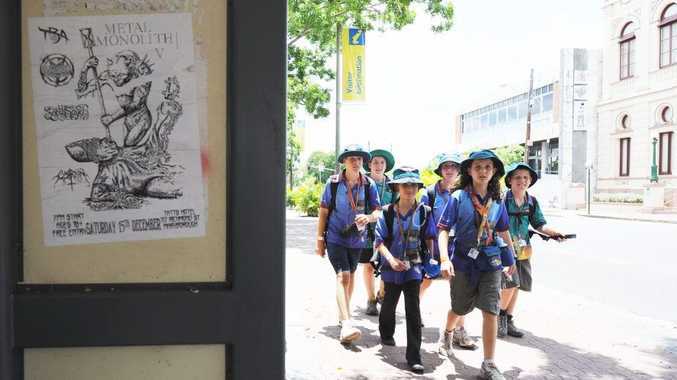 "This young scout takes his religion very seriously and was very upset when he encountered this piece of particularly vile anti-Catholic propaganda," Mr Kearney said. "He tried to take it down himself and reported it to his leaders when he came back. "I did some counselling with him, assured him that he had every right to be upset and together we worked out what kind of action plan we could take to deal with the issue." That action plan involved calling St Mary's Catholic Church priest Paul Kelly and explaining the situation. "It's very unfortunate that it's upset a young visitor," Father Kelly said. "Perhaps the council needs to be more vigilant about the things that are stuck around town." Brendan Weinheimer, one of the organisers of the Metal Monolith, said he admitted the poster was "more offensive" than previous material. "The guy we got to draw was a bit more risky this time round," he said. "We were cautious about it and had another poster made up." But when both posters received good feedback on Facebook, Mr Weinheimer said they decided to run with it. "But we won't use anything this risky again if someone's upset about it." The manager of the Tattersalls Hotel did not return calls to the Chronicle on Tuesday.